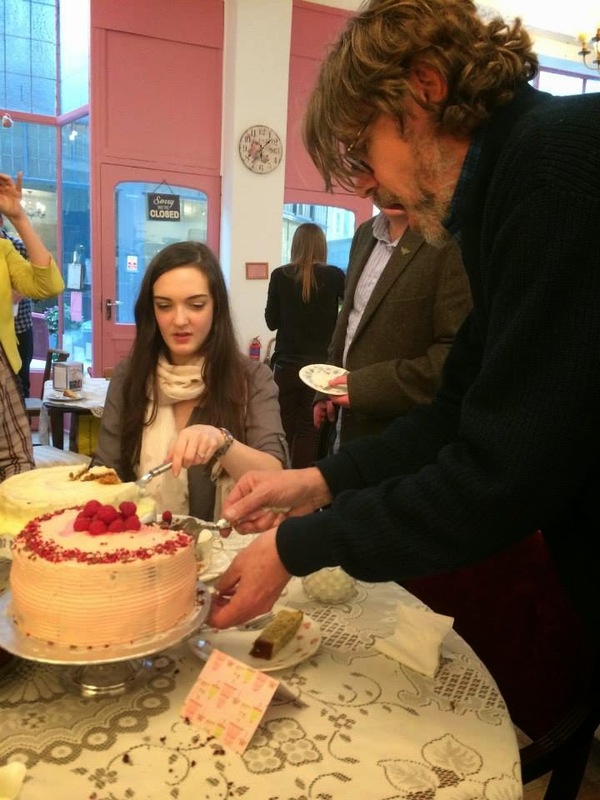 Nigel Slater and The Clandestine Cake Club! 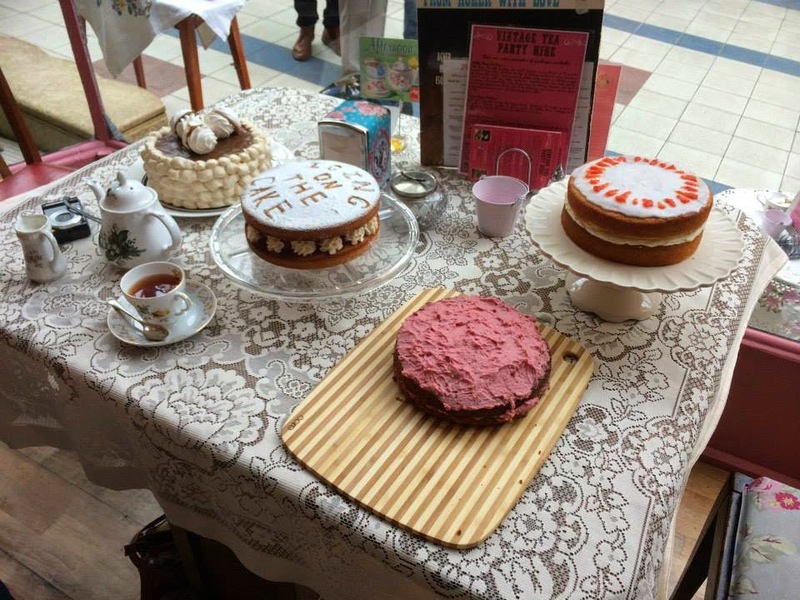 You all know how much I love cake club, like really, I adore it. I'm so pleased I finally plucked up the courage over 2 years ago to go to my first meeting and since the I have never looked back and I love that I'm now an organiser for the Wharfedale group. 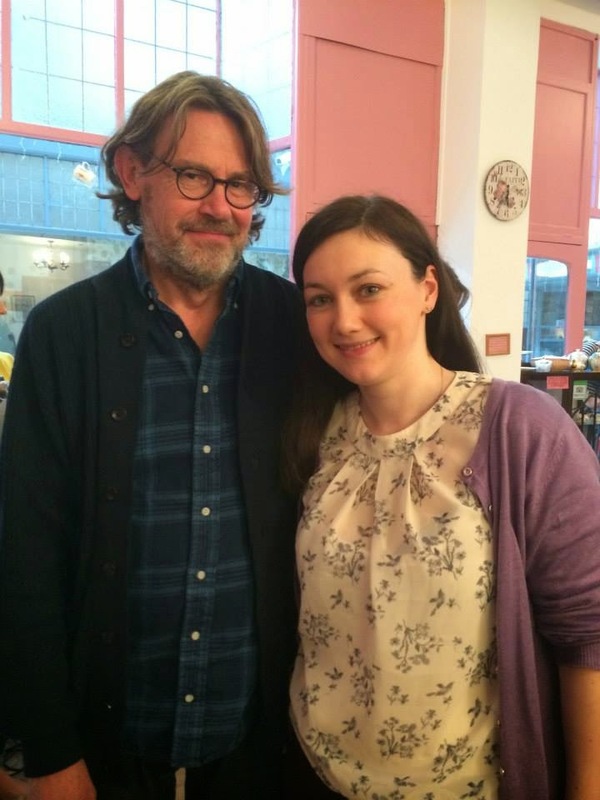 Well my love of cake club got taken to a whole new level this week when Nigel Slater came to film us as part of a new documentary on cake that he is making for BBC4. It was the best event ever!!! It all started a couple of weeks ago when Lynn (CCC Queen) sent me a message on twitter saying she needed my phone number to call me about something urgent and would phone me after work. 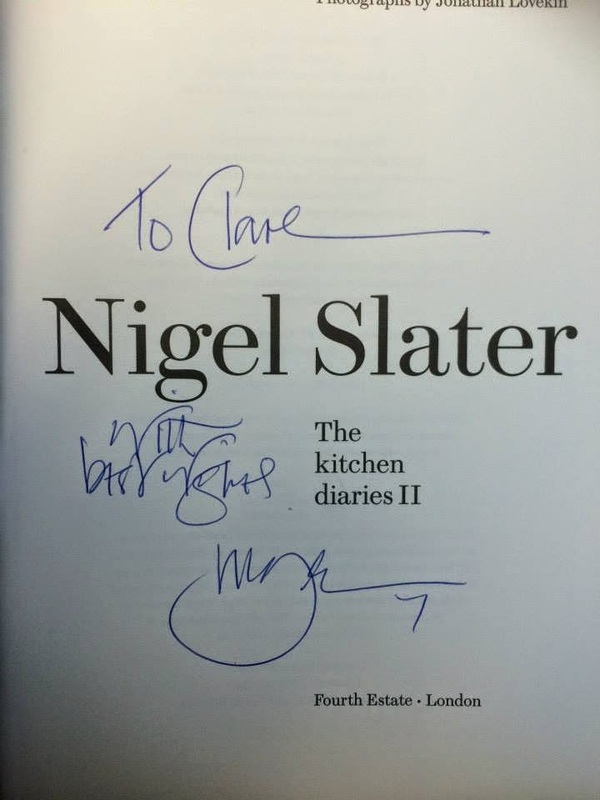 She said it was about Nigel Slater but would tell me more that evening when she called. That afternoon at work was torturous! I could not concentrate at all and was on pins until Lynn finally called to tell me all about it. We were sworn to secrecy especially on social media and it's the biggest secret I have ever had to keep! 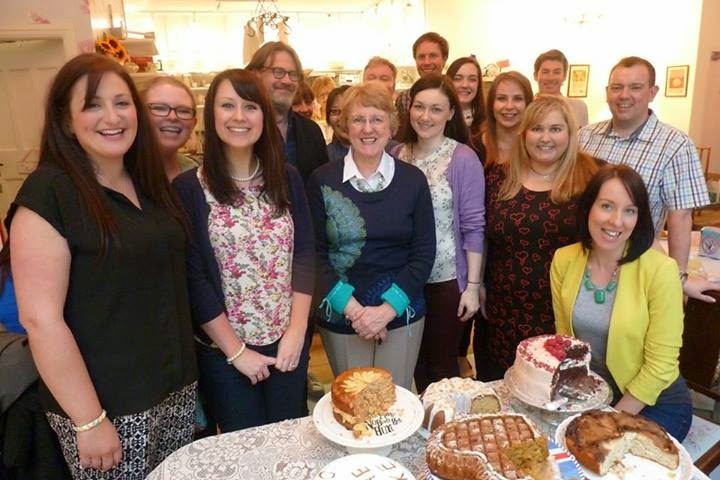 Lynn said she wanted people there who were passionate about cakes and baking and it meant so much to me that she considered me to be one of those people. So fast forward two weeks and I've arranged to leave work early (I had to tell them otherwise there wasn't chance of me being able to leave early). Armed with my cake that has miraculously survived 2 bus journeys and a day sat under my desk and I'm stood outside the Just Grand tearoom in Leeds city centre. I spotted my fellow Leeds CCC-ers Yin, Mike, Sharon and Duanne and it was lovely to see a few faces who I have only spoken to on twitter; Rachel (Dollybakes), Helena, Emma and Jo (Miss Sue Flay) along with a few more faces too. It was great to put so many faces to names especially Becs who keeps the CCC website ticking over. We joked with Lynn were we in her inner circle to be invited to this amazing event. The crew arrived and we were asked to sit at separate tables as Nigel wanted to talk to us in small groups. 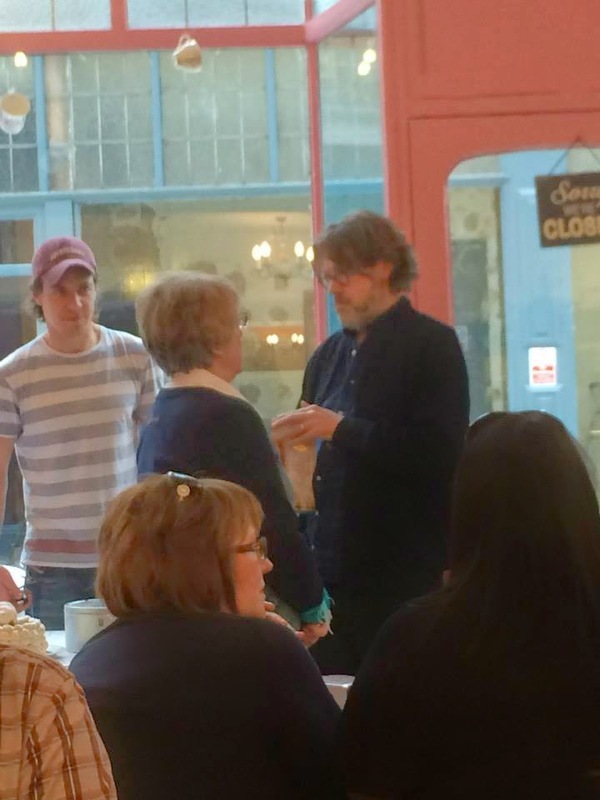 When he arrived he filmed a small piece with Lynn then moved round the tables. Ours was the last to be visited and by then I was bursting for the loo but I couldn't move until they had finished filming inside for continuity. Note to self, drinking a whole pot of tea isn't a good idea if you can't get to a loo! There was a spare chair next to me so Nigel was sat next to me which meant the camera was going to catch me whether I liked it or not. I spent the whole time thinking "Clare do not scratch your nose/do not fiddle with your necklace/do not play with your hair" which are all things I do when I'm nervous. So Nigel sat down to ask us about cake and what it meant to us and you know what, he was lovely, so utterly sweet and nice. Cake means so much to me especially friendship and love and I told him this. He asked me did that mean cake people are the nicest and I said yes! 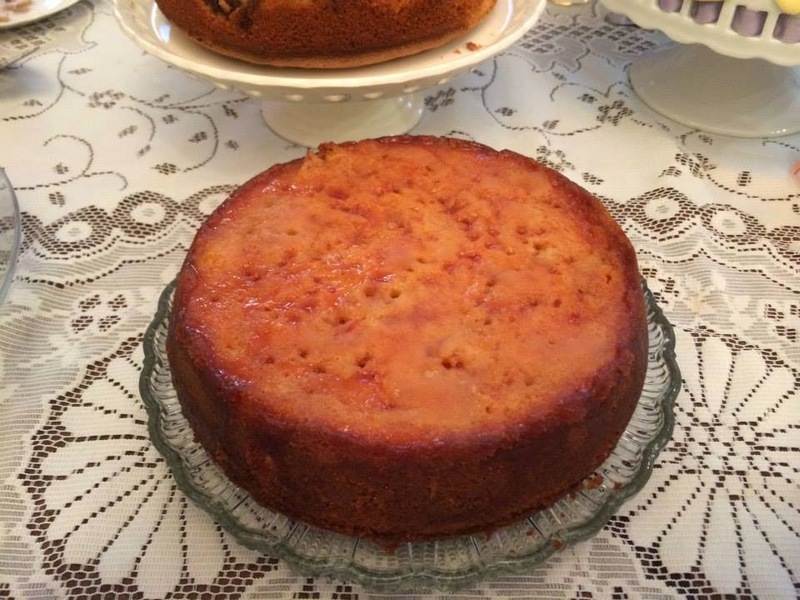 To me cakey people are the nicest people you could ever meet. Nigel brought a cake, complimented me on mine and even had a slice. 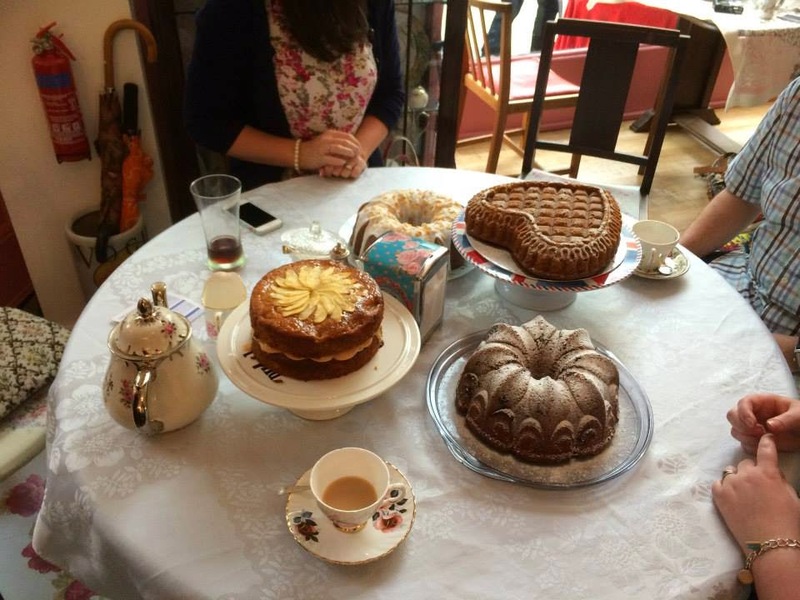 I'm completely self taught so to receive praise from a food expert means so much and it made me realise I really need to stop being such a critic of my cakes. I could talk about this all day (actually I have droned on quite a bit -sorry!) but it was such a wonderful afternoon. Nigel is the same on and off camera, his crew were lovely too and it was just brilliant. We made sure they got to tuck into all our cakes, I really felt for the camera man his camera looked like it weighed an absolute ton! 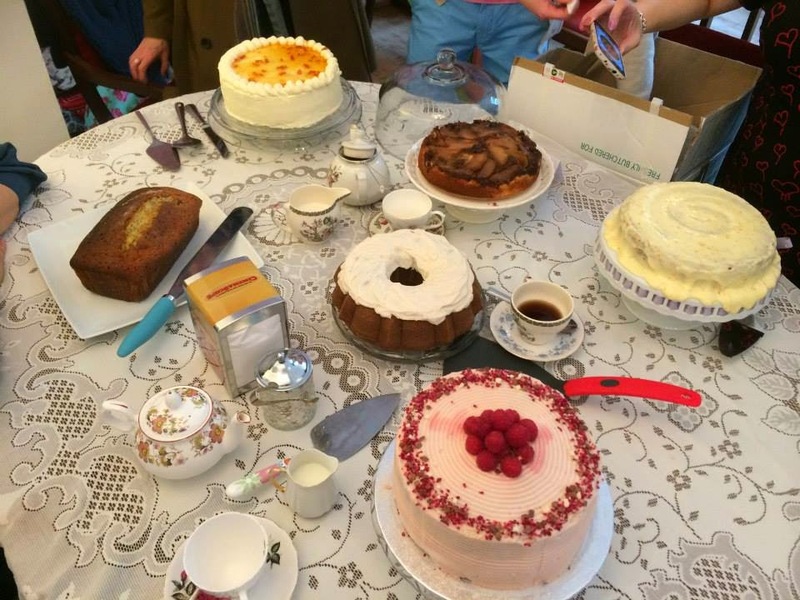 Apart from cameras and Nigel Slater being there it was just like any other CCC event: laughs, friends and lots of yummy cake! We also got some great photos taken, Nigel signed out books and he even replied to one of my tweets later that evening - made sure I did a screen shot of that! Anyway, enough of my chatter, here are some pics from the day! Nigel even brought a cake too! I'm so lucky and grateful that Lynn invited me to this extremely prestigious CCC event, it's going to take a lot to top this!